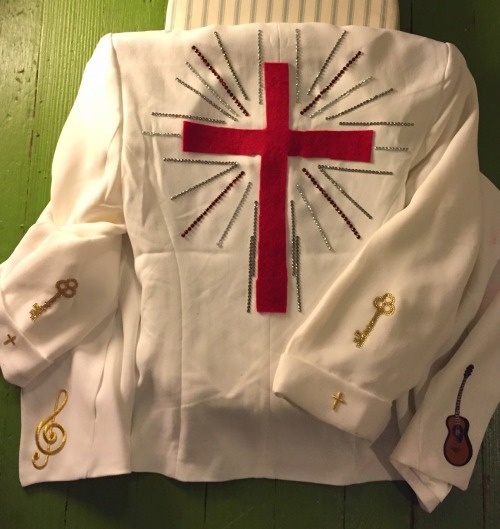 Alyssa from Arrowhead Vintage takes Halloween very VERY seriously. 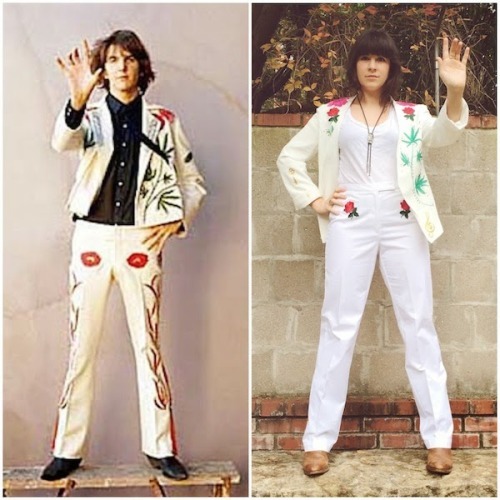 And by the looks of her Gram Parsons costume, we’ve been doing it ALL WRONG since day one. 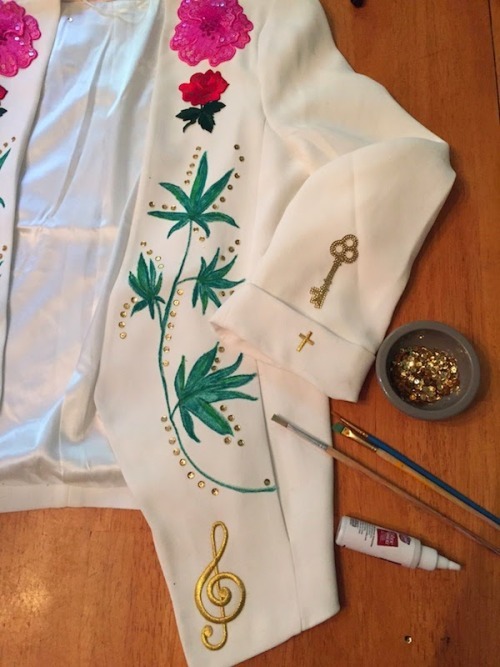 From sewing the tiniest sequins to individually hand gluing rhinestones, she nailed this recreation of the infamous Gilded Palace of Sin suit by Nudie Cohn. Don’t have the patience but want the look ? Let us help you .